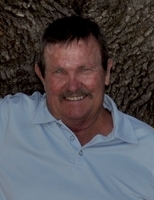 Provide comfort for the family of James "Jim" Woodruff with a meaningful gesture of sympathy. Ringling –Services for James “Jim” Edward Woodruff, age 73, of Ringling, are scheduled for 2PM Tuesday, January 14, 2019 at the Alexander Funeral Home Chapel in Ringling with Rev, John Marks and Don Pogue officiating. Interment will follow in the Dixie Cemetery. Services are under the care and direction of Alexander Funeral Home of Ringling, Oklahoma. Jim was born April 5, 1945 in Los Angeles, CA to the late Mr. Howard Leonard Woodruff and Mrs. Jean Margaret (Smith) Woodruff. He departed this life on January 13, 2019 at his residence east of Ringling. Mr. Woodruff grew up in Southern Oklahoma. He attended school in Ardmore and Ringling. He graduated from Ringling High School with the class of 1963. Jim served honorably in the Army National Guard for 5 years. He married the love of his life Mrs. Walda Marie (Daubert) Woodruff on August 19, 1967 in Dexter, NM. They made their home on the family ranch north of Ringling for many years where they would raise their four daughters. Jim was a rancher and truck driver. He enjoyed playing cards and visiting with his friends. Jim is preceded in death by his parents, a brother, William Scott “Billy” Woodruff and a granddaughter, Bailey Marie Ross. He is survived by his wife Walda Woodruff of the home; daughters, Stephanie King and Michael of Ringling, Teresa Woodruff and Todd Deaton of Blanchard, Rebecca Whisenhunt and Eric of Grapevine, TX, and Jami Woodruff of Ringling; siblings, Howard Leonard Woodruff II, Rebecca Sobo, Margaret Jean Deere, and Stephan Mark Woodruff; grandchildren, Shelton, Sierra, and Sadie Ross, James Briar Woodruff, Lora, Samuel and Daxton Whisenhunt; Many nieces, nephews, other relatives and a host of friends. Serving as Pall Bearers are Lee Roy Reed, Roger “Rocky” Hatley, Mickey Morris, Willy Crockett, Eric Whisenhunt, and Logan Lucas. Honorary Bearers are Johnny Hubbard, Porter Hodges, and Larry Snell. Visitation will be at the Alexander Funeral Home of Ringling on Monday from 6-8PM. 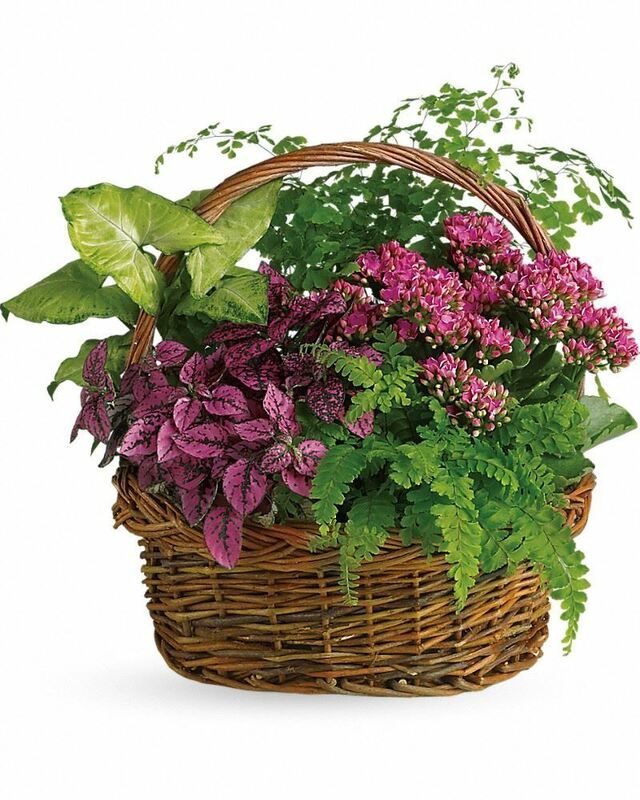 To send flowers in memory of James "Jim" Edward Woodruff, please visit our Heartfelt Sympathies Store. Mayrene Ashcraft, Rebecca Sovo, and others have sent flowers to the family of James "Jim" Edward Woodruff. The Herring cousins send all our love and sympathy! Mayrene, Stephen, Martha and George And Families. Mayrene Ashcraft purchased flowers for the family of James "Jim" Woodruff. 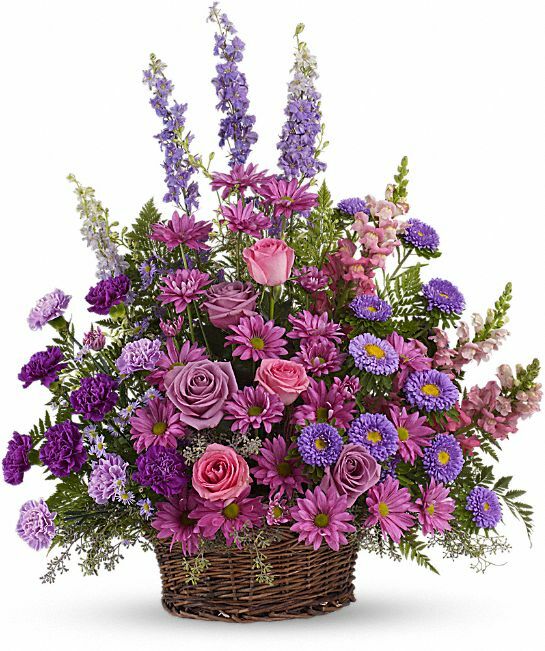 Heartfelt Sympathies Store purchased the Gracious Lavender Basket for the family of James "Jim" Woodruff.